If you are a guest in my chair I will go through and discuss with you your individual needs and requirements. We will talk together about your face shape, bone structure, hair texture, density, growth patterns, key features you like or dislike and how we can highlight or take away from these areas or features. I consider hair my artform and I want every person that sits in my chair to feel relaxed, have trust and enjoy their visit . I want your hair to be healthy and to be YOU. Aftercare is also my speciality so I will always let you know what products and tools to use and the steps to achieve salon results. 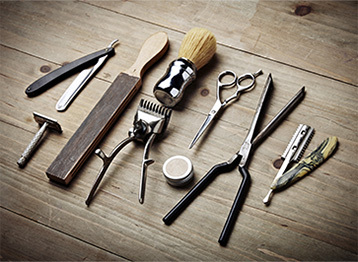 The courses that I offer range from the novice hairdresser wanting to learn the basics to the more advanced learner desiring inspiration and new direction. Any of these one-day courses can be combined but I recommend the modern classics course first to introduce the learner to the fundamentals. All topics will be covered, including consultation tips, suitability, blow drying and the correct tools to use for the desired result, taking into account key points from image, lifestyle and personality through to bone structure and how these variables will give us the story of our look or shape. One of the most important factors in cutting hair is why you would choose a particular shape/technique, and I can teach you how to determine these factors. Teaching is my passion and I believe in the knowledge we are all sharing. With hair, there is always something new to learn which is why we all love our jobs! Looking forward to meeting you and your staff. Colette Skelton is a freelance hair designer and educator, active in the hair industry since 1990. Colette began her career in independent salons in Belfast, moving on to London in 1993 to work for Toni & Guy in their flagship Sloane Square salon before being promoted to Assistant Manager of the Covent Garden branch. From there Colette travelled to work for the company in Sydney, Australia for one year before returning to her native Belfast. Colette returned to London in 2012 to work for the globally renowned Vidal Sassoon. 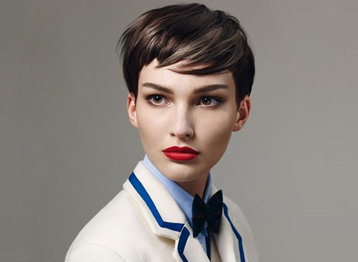 After completing training, she worked in the Kings Road branch before fulfilling a lifelong career ambition of becoming an educator for Sassoon Academy in London. Colette has travelled extensively with Sassoon, educating professionals of all levels in both seminar and classroom settings, Russia and India being the highlights. Colette has also contributed to two Sassoon Academy collections , “The Muses ” S/S 2014 and “The Group” S/S 2015. 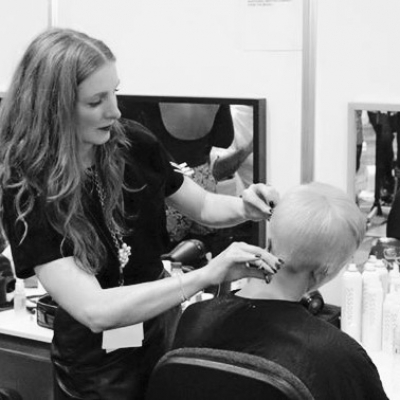 Other career highlights include working backstage at London Fashion Week and on stage at Salon International. Colette is now sharing her knowledge with other hair professionals of all levels and continues to see clients privately.